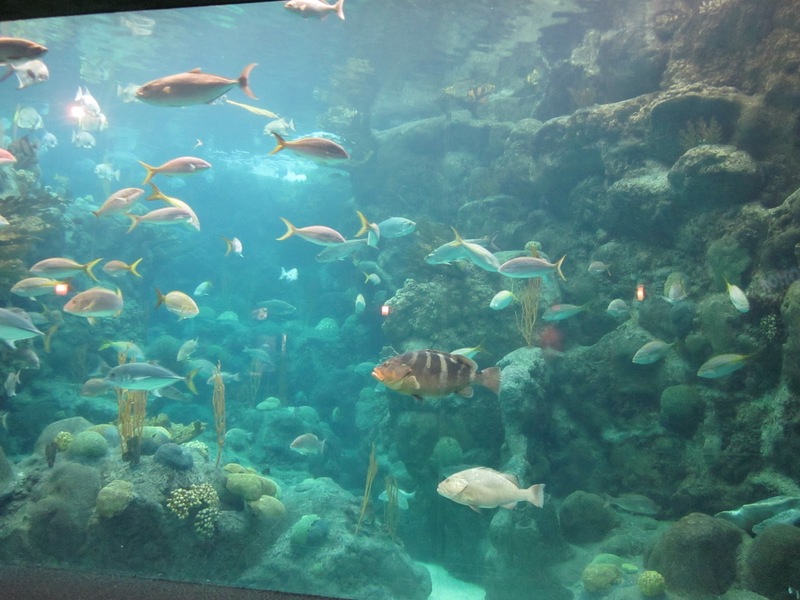 Earlier this week, I posted a lot of details and tips from our visit to the Florida Aquarium in Tampa, Florida. Here are a few more of my favorite photos from our time there. 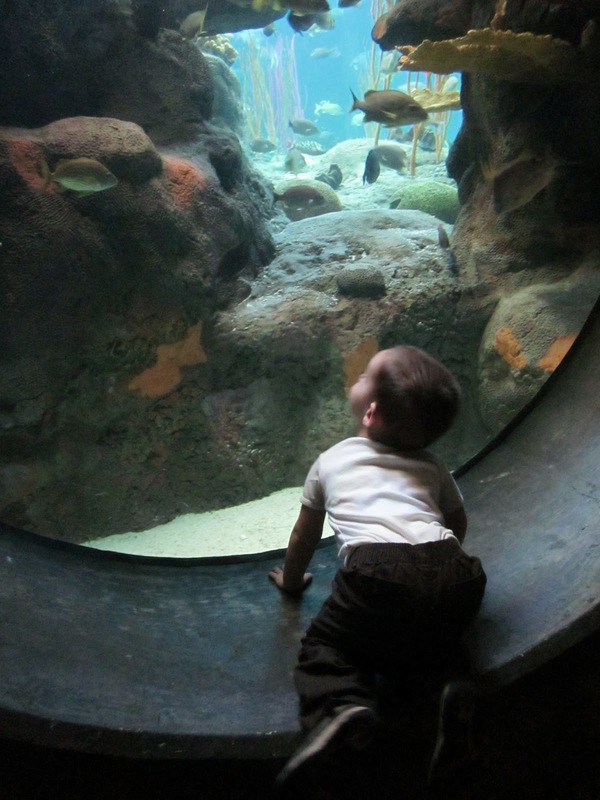 If you love aquatic life, you've got to put the Florida Aquarium on your must-see list the next time you're in Tampa, especially if you have kids. Looks like a scene from one of my favorite movies as a kid, The Little Mermaid. It's just missing Ariel's seashell bikini and flowing red locks. Ah, I just love this age. Everything is so new and exciting to him. And because I ate more than my fair share on this trip, I present to you a 300 lb. 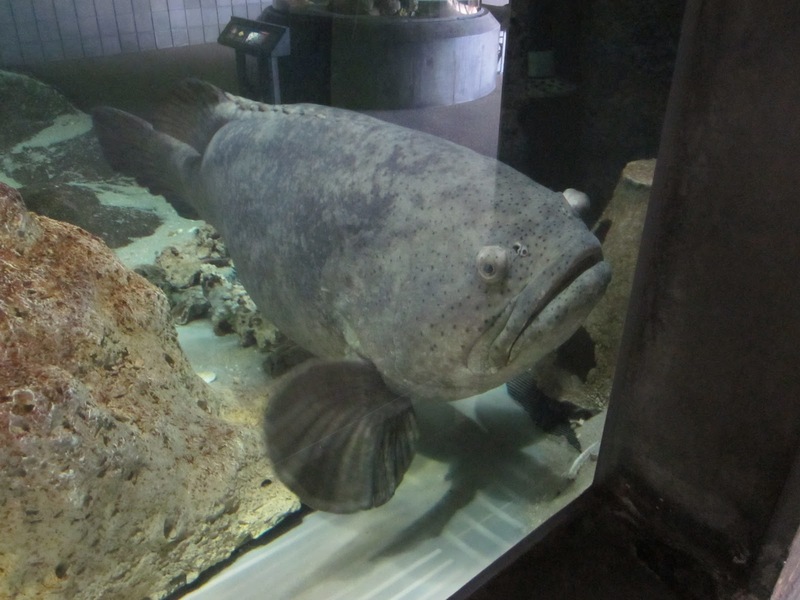 grouper. Funny, I was just writing about this aquarium today for a magazine story! And yet, I've never been. The Georgia Aquarium is my favorite in the world...have you guys had a chance to visit there yet? That first photo looks almost 3D! Great shots! We love the aquarium! I have never been to the one in Tampa yet.